1 minute video looped of flock of starlings in syncronised flight as if moving as one pulsating organism. Filmed in Carlow in the Blackstairs Mountains. 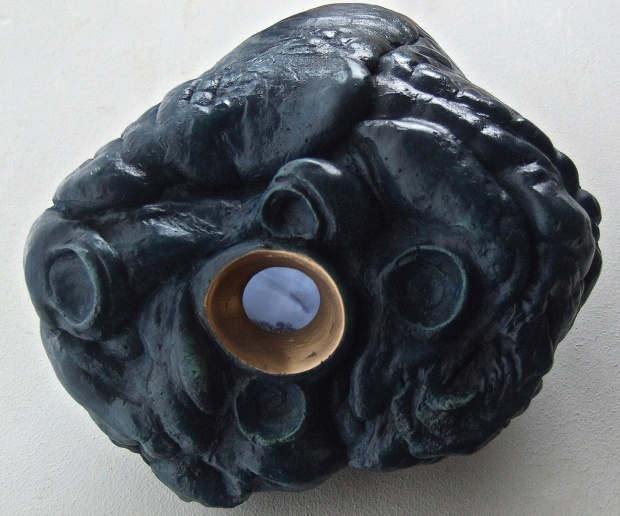 The heart is cast in bronze , patinated blue and houses the ipod player.